This comprehensive origami book covers all the essentials needed to start folding beautiful projects right away. World-renowned origami artists Michael G. LaFosse and Richard L. Alexander share their wisdom and expertise in this complete introduction to the world of origami paper folding. 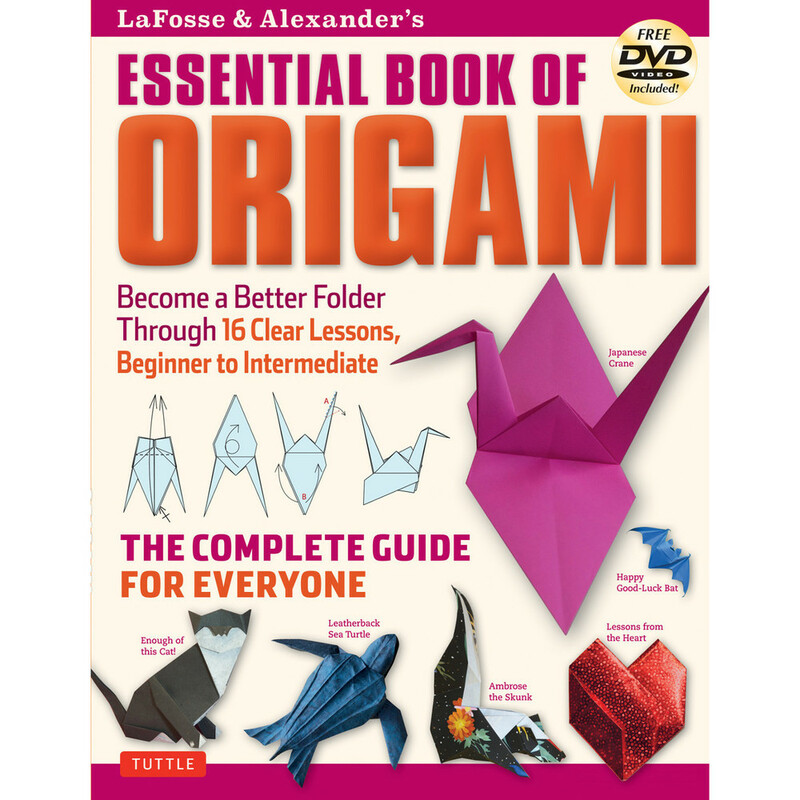 Beginning origami folders can progress through 16 step-by-step lessons, each with an accompanying video lesson on the free DVD included with this book. Each lesson features a project that's been selected to encourage development of origami folding techniques in a highly enjoyable way. Most of the projects are original, never seen before in print. In addition to presenting invaluable information about how to select your origami papers, how to preserve and display your origami creations, and even how to begin selling origami commercially—this origami book also presents the authors' original "philosophy" of the paper folder's art.